I started suffering from allergies about 15 years ago when I moved from a wet, green climate to a dry desert one. At first I got the occasional sinus headache, which turned into seasonal allergies, which turned into year-round allergies which then led to full blown sinus infections. I've tried every OTC medication for allergies/sinuses available. Now while I obviously still and will continue to suffer from the occasional allergy outbreak, I've gotten them under control to the point where I don't have a severe sinus infection 3 or 4 times a year or feel miserable for days or weeks on end. 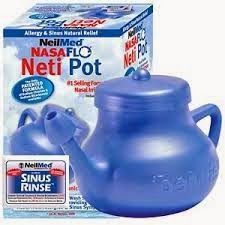 The first product I found that I swear by is the Neti Pot with saline solution. This is a sinus rinse which uses saline mixed with water to clean out the sinuses. You can buy premixed solution packets or make your own (I buy them because, well, I'm lazy.) It's best to use it with distilled water but I just use plain old tap and haven't had any issues (because once again, lazy.) I use this twice a day but I do warn you that if you do use this and suffer from severe allergies like I do, once you stop you will feel congested within a day or two. I'd rather use this then take an allergy pill or shot every day, but that's just my personal feeling. 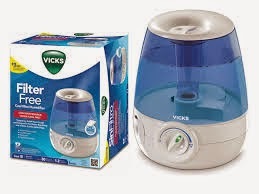 A recent find that has really helped during the dry Winter months is the Vick's Cool Mist Humidifier. I prefer the cool mist humidifiers although I have tried both. I just find they are more comforting when I have sinus issues and don't leave as much of a wet area around them. The one I have can also have a menthol patch added to it so that it really soothes my sinuses. This helped a TON this past season as we've experienced an unusually dry Winter. The one I use is filter free so you never have to worry about the added irritant of changing it and it automatically shuts off so that when there's no more water left you don't have to worry about it being a fire hazard. The downside? It doesn't last more then 6 hours if you use it on the full setting, which is the only setting that mists. 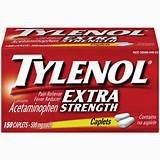 If I do have to resort to taking a pill for my sinuses, the one that surprisingly helps (without giving me the nasty hangover in the morning) is Tylenol Extra Strength. It seriously reduces the pressure along the forehead and orbital bone, making having sinus pressure a lot more bearable. Used along with a sinus rinse and humidifier, I've been able to cut out sinus infections completely and limit the amount my allergies interfere with my day to day life. Keep in mind, I'm not a doctor and don't recommend this if you have allergies beyond hay fever, etc. This is just what worked for me. Tell me, what do you guys use to combat allergy/sinus issues?